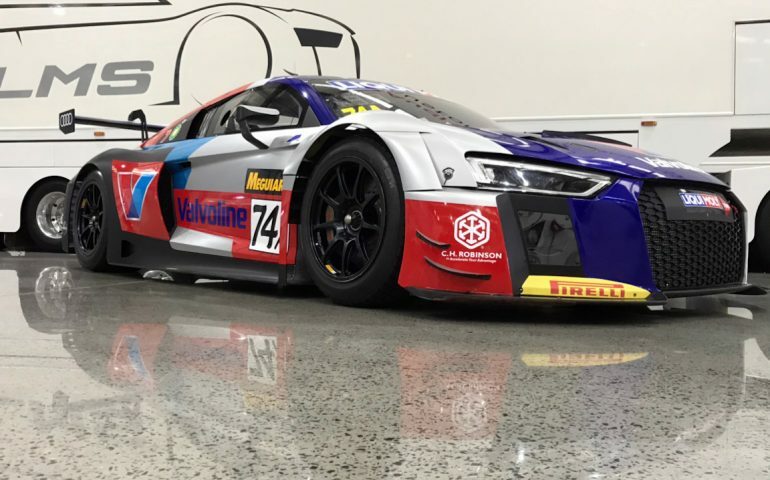 Tander is now something of a regular with the Melbourne-based Jamec Pem team – run within the Audi Sport Customer Racing Australia outfit that will field multiple R8’s in the race this February. As well as making selected appearances in the Australian GT Championship, Tander drove a Jamec Pem Racing Audi R8 LMS in both the 2016 and 2017 12-hour races, finishing eighth and 13th, respectively. The 2007 Supercars Champion is a three-time winner of the Bathurst 1000 and a former winner of the Bathurst 24 Hour – but is yet to taste the podium at the 12-hour. “I have great teammates in my car with Kevin and Fred and I’m looking forward to sharing my knowledge of the track with them, and having them help me get the most out of the car. Tander said he was expecting another tough Bathurst challenge this February. “It will be a very tough race and there are lots of very strong combinations,” he said. He won two races in the 2017 Australian GT Championship with Geoff Emery, ultimately finishing fourth in the championship, despite missing the final round. He also paired with Pierre Kaffer and Markus Winkelhock in an Audi R8 LMS to win the California 8 Hours, the final round of the 2017 Intercontinental GT Challenge. 31-year-old Belgian ace Vervisch races for Audi Sport Team WRT in the Blancpain GT series and the Intercontinental GT Challenge, as well as contesting the TCR International Series.